Pure natural and non-caffeine Himalayan herbal tea is available in loose so that one can use it in boiled water. 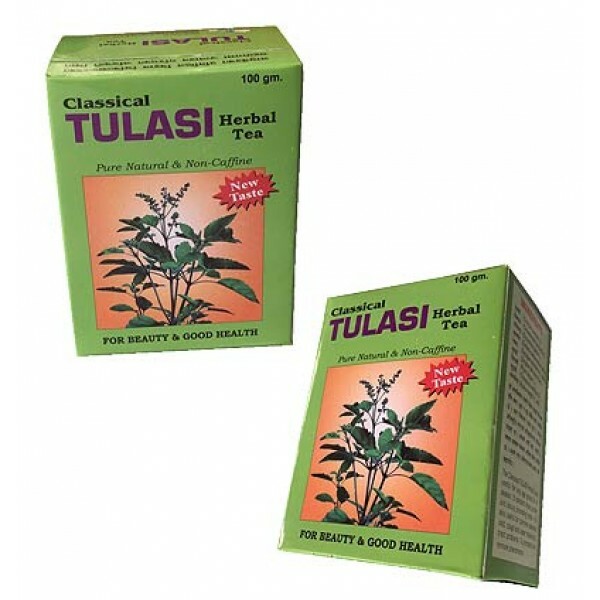 Holy basil and other nine Himalayan herbs are the ingredients of the tea gives pleasant and ecstasy feeling to drink in any age-group for all season contains blood purifier. Consume daily. Regular consumption of this unique health drink is essential to experience its health benefits. This information is provided purely for informational purposes only, and does not in any way purport to be medical or prescriptive suggestions. Any reference to medicinal or health benefits is not meant to treat or diagnose any problem and is not meant to replace professional medical advice and should not take the place of any prescribed medication that has been prescribed by a physician. The given weight of the tea box is 100 gram but the weight mentioned below is calculated for the shipping purpose that is measured in volumetric basis.